NICI-Mania was traveling on a bus and found a suspicious bag left at the back of the seat. We should call the police!! Something popped out of the bag! Is that the leg of NICI Giraffe? 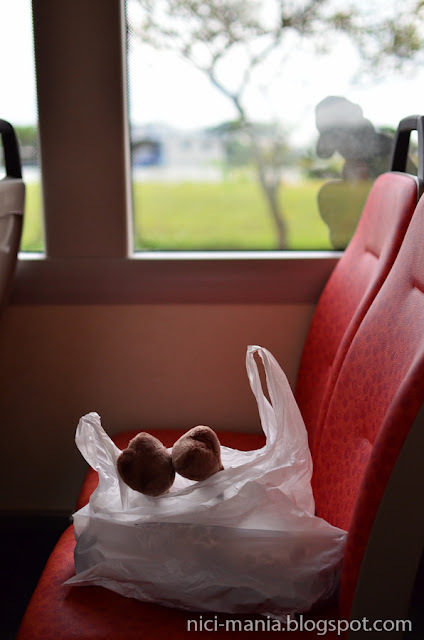 Now two legs kicked out of the bag!! 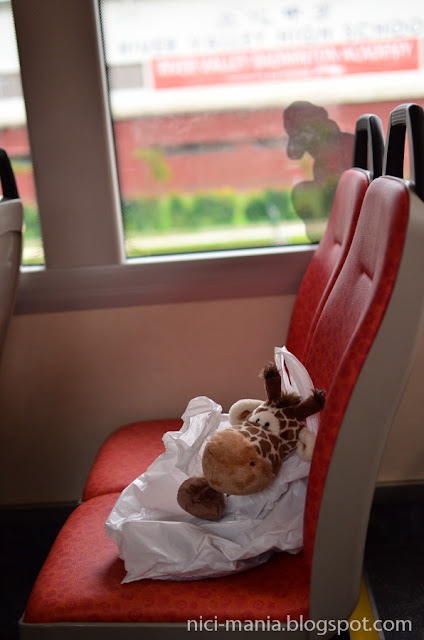 We can faintly see NICI Giraffe's spots showing through the plastic bag. Hello NICI Giraffe! 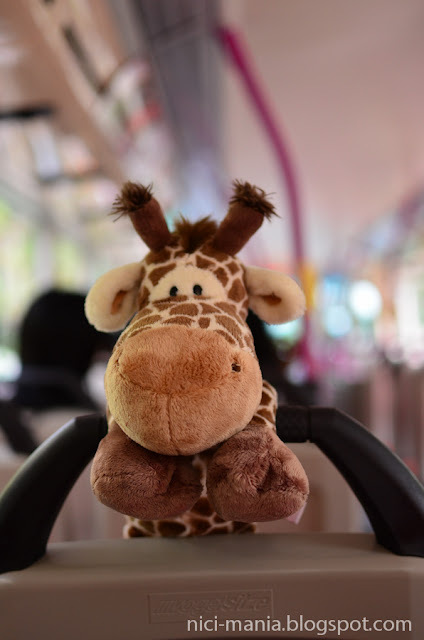 What are you doing in a bus? 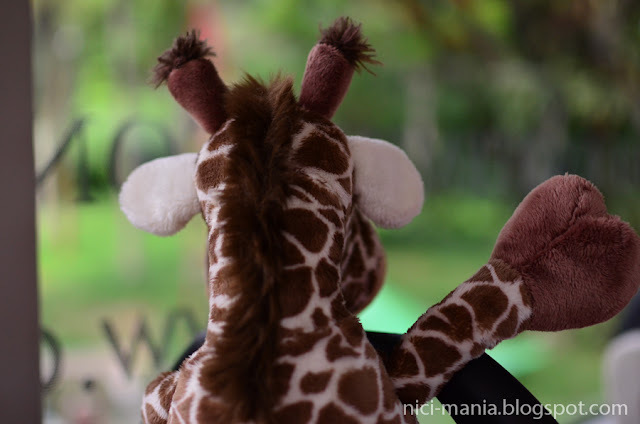 NICI Giraffe: "Someone wrapped me in a plastic bag and left me here!" 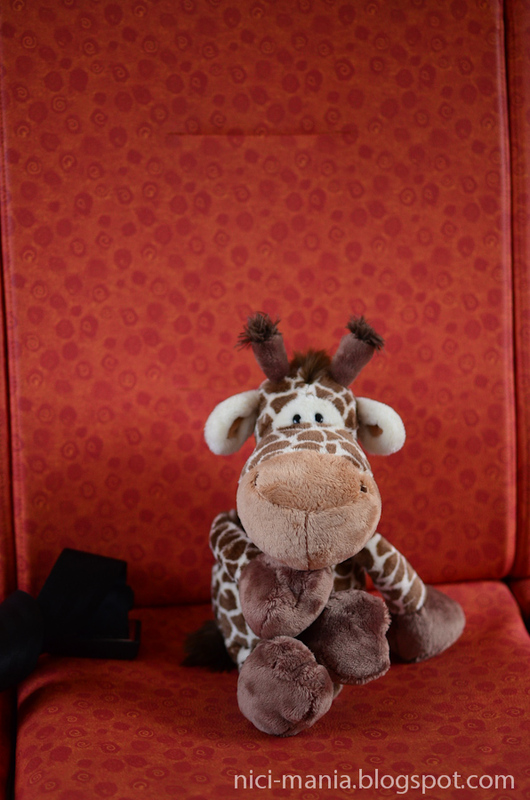 Why would anyone abandon you NICI Giraffe, you're so cute and suave! NICI Giraffe Gwen looks innocently at us. Its like she is saying "Please bring me home"
NICI Giraffe Gwen continues to flaunt her cuteness! 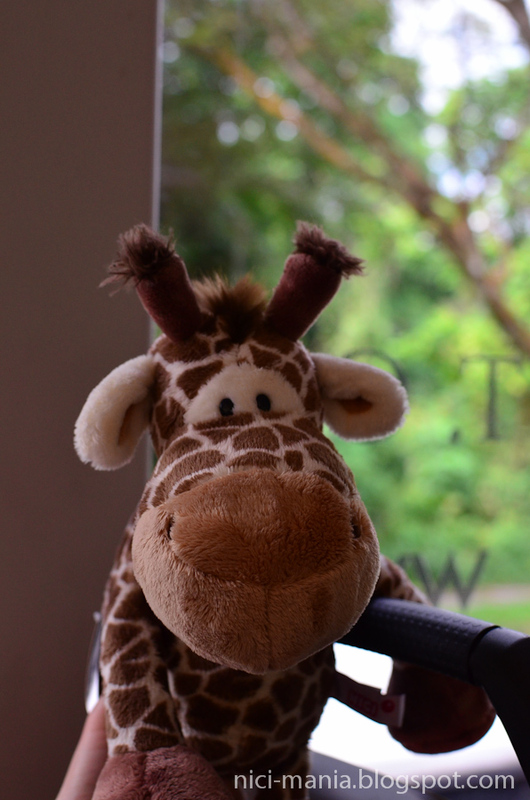 NICI Giraffe: "Are we on our way home now?" 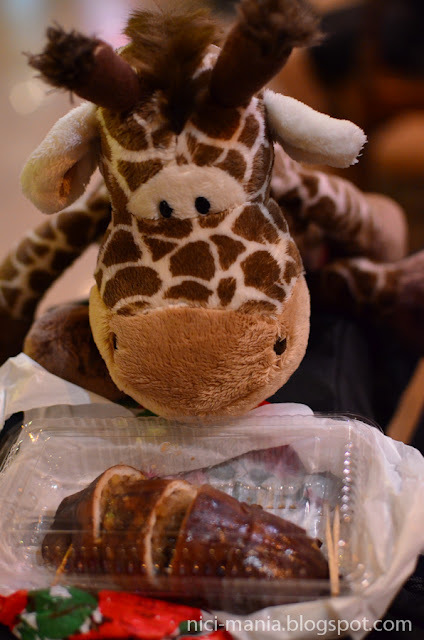 We brought NICI Giraffe for 'Ika Meshi' stuffed squid with glutinous rice snack before going home. Ika Meshi is a simple Japanese dish in which a whole squid is stuffed with seasoned rice. The stuffed squid is then grilled over sweet shoyu (soy sauce). Time to bring nici giraffe home! 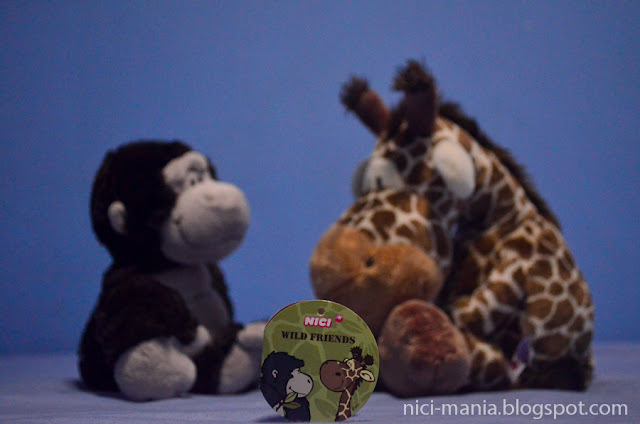 NICI Giraffe reunites with her good friend Milo Gorilla! NICI Giraffe meets up with the rest of the NICI Wild Friends gang and all our flock warmly welcomes the addition of Gwen the giraffe. Ohhhh I love face, is very cuteeeeeeeeeeeeeeeeee!!!!!!!!!!!!!!!!!!!! Hello Gwen! 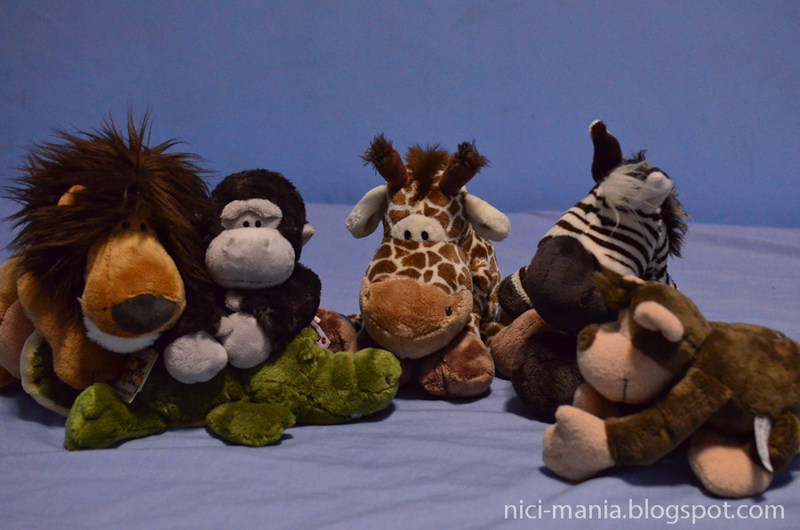 We love giraffes! They are so cool! You're joining a great family, and that family always has great food! 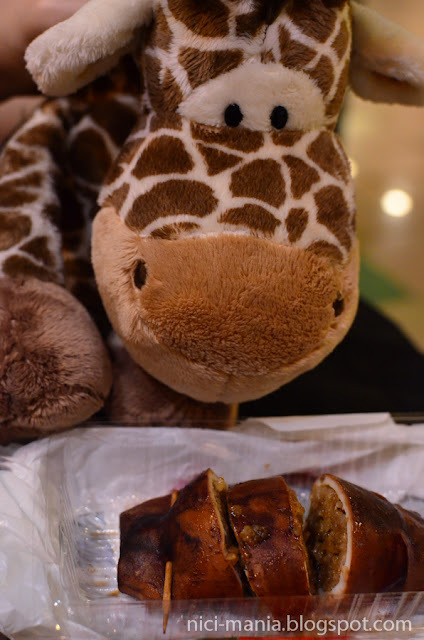 Everytime we visit the blog, we're STARVING after reading it! Plushy mode: Yes! 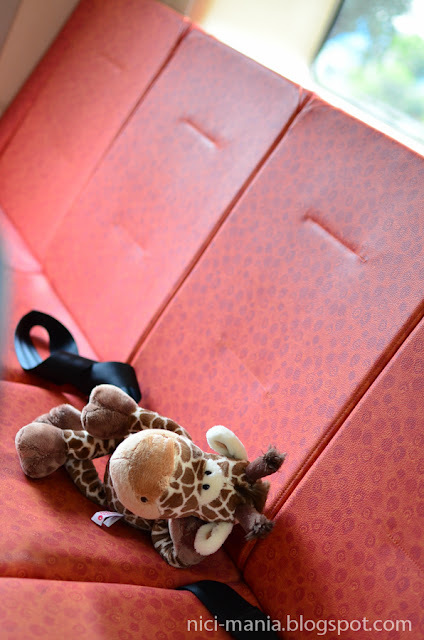 our Nici giraffe is a gentleman. He hid among the many ladies, waiting to be bought. 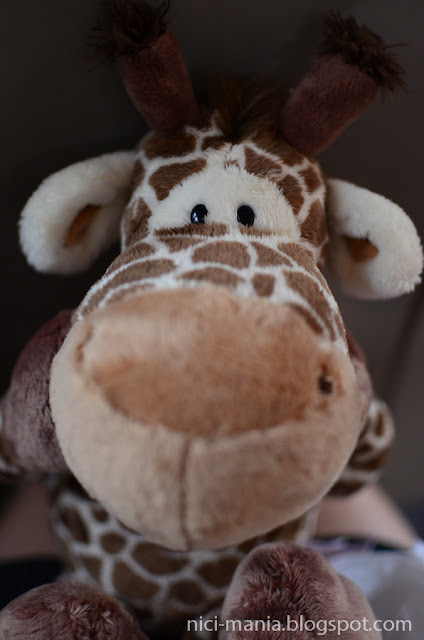 Just to prove that male giraffes are as attractive as their female counterparts. 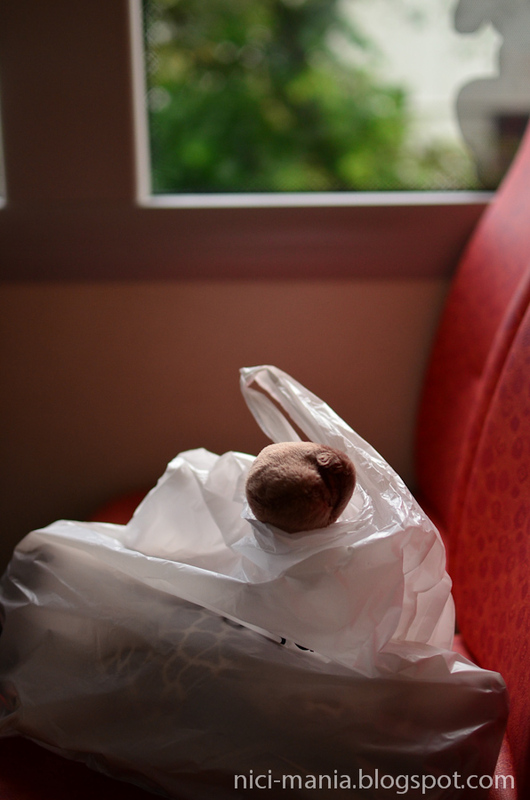 PS: Are you still looking for brown rabbit Minily? 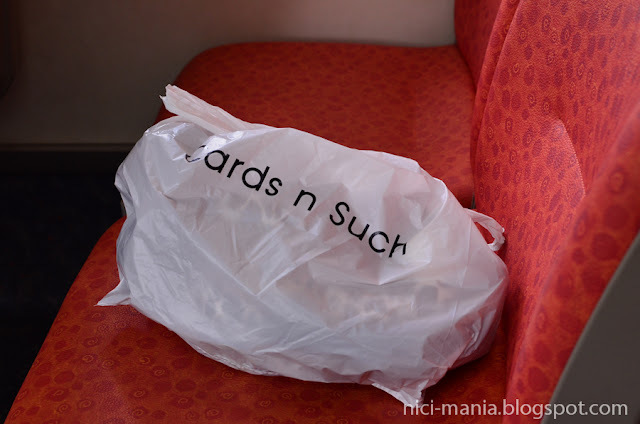 I saw them at Metro Jakarta. Let me know if u need help getting them. Jessica will be helping us get the minily rabbit. We're very excited!! @Hugo : which color do you want? and how many of each =D ?